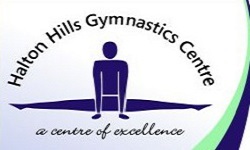 The HALTON HILLS GYMNATICS CENTRE (HHGC) is a dynamic and ambitious organization and is located in the beautiful “Town of Halton Hills”, Ontario. 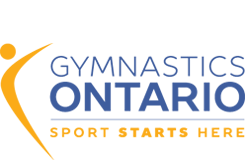 Due to the steady growth of our programs, we have a very special opportunity for a Full Time Competitive Gymnastics Coach to join our active, friendly and unique Centre. The successful candidate will be an enthusiastic team player who must be passionate about the sports of gymnastics, tumbling and trampoline. The specific coaching responsibilities will focus on our WAG program. The Women’s Artistic Gymnastics Program at HHGC is designed to give gymnasts the opportunity to reach their full potential in a competitive environment as well as inspire those in the recreational program by demonstrating dedication and excellence. HHGC will provide a quality coaching environment with the safety and best interests of the gymnast as the highest of priorities. We will work to create and maintain an inclusive and encouraging environment where every gymnast is given the opportunity to develop skills to the best of their ability whether it is competing at an Invitational, Precompetitive or Provincial level. Our qualified/skilled coaches must share in this vision and fully understand the scope of the challenge, to not only fully develop & inspire our children as gymnasts, but support them in developing other crucial skills and qualities including: i. Respect ii. Discipline iii. Commitment iv. Teamwork v. Confidence vi. Leadership. Comprehensive, Clean, Well Equipped and Organized 15,000 sq. ft. gymnastics facility.